The lands here, lying about four miles E. from Dunstable, were at one time the property of the notorious Falk de Brent, who obtained the honour of the district from King John, and perhaps had a stronghold here in 1216 ; but the founder of the early castellated mansion is supposed to have been Sir John Rotherham, who was steward of the household to Henry III. 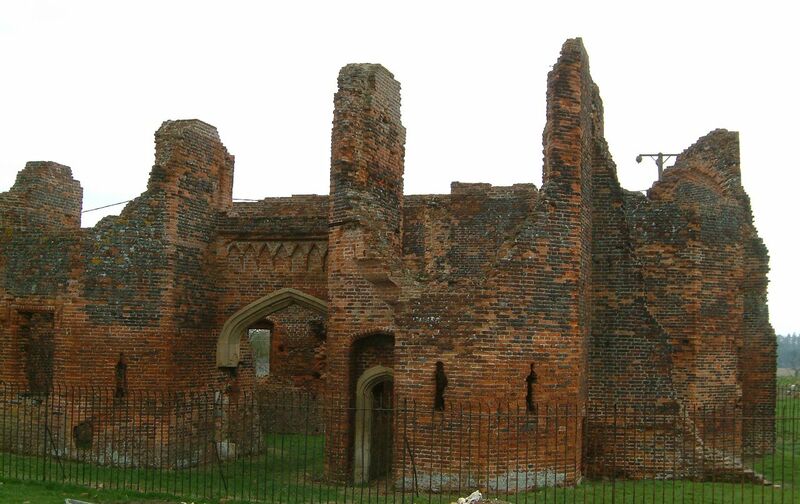 Henry V. granted the manor of Luton in 1406 to John, Duke of Bedford, the Regent of France ; and the next recorded possessor is Sir John Wenlock, in the reign of Henry VI., who owned considerable property in this neighbourhood, and who erected the beautiful Wenlock Chapel in Luton Church. He was a prince of turn-coats. Originally a trusted supporter of the Lancastrian cause he was severely wounded at the first battle of St. Albans, in 1455, fighting for Henry VI. ; after which that King made him a Knight of the Garter and promoted him to several State offices. He soon after changed sides and took part with the victorious Yorkists in the bloody battle of Towton in 1461, obtaining afterwards from the new King the post of chief butler of England, and the lordship of Berkhamstead Castle, Herts, being also created Baron Wenlock and a privy councillor. Then he turned again over to the side of Queen Margaret, and at the battle of Tewkesbury, in 1471, was entrusted with the command of the second line, or the supporting force. Here, when the troops of the first line under Edmund, Duke of Somerset, were routed by the lances under Richard, Duke of Gloucester, Lord Wenlock remained stationary, and failed to afford support; whereon Somerset, suspecting treachery, rode up to him as he sat on his horse in the market-place, and reviling him, smashed in his head with a blow of his battle-axe. Leland says that Wenlock left an heir-general who was married to a relative of the Archbishop of York, and that he inherited “three hunderheth markes of land hereabouts, and a fair place within the paroche of Luton caulyd Somerys, which house was sumptuously begun by Lord Wenlock (in 1448); but not finished”. It was a brick building, of which the gatehouse with machicoulis and fine polygonal flanking towers, with some portions of the chapel and other buildings, still remain in tolerable preservation, the rest having been destroyed. Part of a high tower is still to be seen, a drawing of which is given in Pegge’s paper in the “Biblio. Topograph. Brit.,” vol. iv. It was ascended by an inclined plane, instead of a staircase, and there was a speaking-tube which carried the voice from the roof to the ground level. The entrance had a low arch, and the windows had labels.